May 22, 2013 President Mohamed Morsi began his four year term with seventeen political advisers and four aides. The seventeen advisers were described as being divided between seven ‘political liberals’ and ten advisers with ‘Islamist leanings.’ Among the seventeen advisers, two were women and two Christian. The four senior aides consisted of one Christian, one woman, a leading Muslim Brotherhood figure, and a leading Salafi figure. Of the seventeen advisers, only six remain, while of the four senior aides, three remain. Resignations from both the Shura Council and the Cabinet have taken place in protest of government policies. October 2012 Following internal FJP elections, leading Brotherhood member Essam al-Erian resigned from his position as presidential adviser. He cited a conflict of interest as the reason for his resignation. Morsi’s November 2012 decree, together with the violent clashes that ensued in the vicinity of the presidential palace, resulted in a wave of resignations. Nine of Morsi’s advisers, including one senior aide, resigned. Senior aide Samir Morcos, one of the three Christians in the advisory team resigned in protest to Morsi’s ‘unconstitutional declaration.’ His decision was driven by the fact that he was not consulted before the declaration was issued, describing it as ‘undemocratic and a leap backwards.’ Morsi’s decree was a driving force behind the resignation of several of his 17 advisers. Sekina Fouad and Farouk Guweida both relinquished their positions in the president’s team. Both Fouad and Guweida fell into the political liberal category. Fouad is a journalist and Deputy Chairman of the Democratic Front Party, while Guweida is a journalist and poet. The November decree also led to the resignations of three more advisers, Amr al-Leithy, a TV show host and journalist, Ayman al-Sayyad, a journalist, and Seif Abdel Fattah an Islamist political science professor with no political affiliations. Of the six remaining advisers, four are members of the Muslim Brotherhood, 1 a member of the Islamist Construction and Reform Party, and the only remaining independent adviser served as the Assistant to the former Minister of Interior and was the head of Egypt’s police academy. 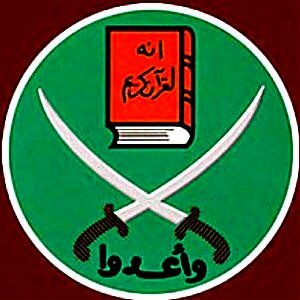 One of those remaining Muslim Brotherhood advisers is Ayman Aly, last known to be the Secretary-General of the Federation of Islamic Organizations in Europe (FIOE), the umbrella group for the Muslim Brotherhood in Europe. The report also identifies Essam El-Haddad as a Senior Morsi aide as well as as a member of the Muslim Brotherhood Guidance Bureau and who was the Muslim Brotherhood’s political party’s Foreign Relations Committee Officer. Essam El-Haddad is also the father of Gehad El-Haddad , another Egyptian Muslim Brotherhood leader and former employee of the William J. Clinton Foundation in Egypt.